The Manhattan College chapter of the American Chemical Society provides undergraduate students exposure to different opportunities within the fields of chemistry and biochemistry. The chapter is affiliated with the American Chemical Society (ACS), the largest scientific society in the world which has more than 158,000 professional members around the world and works to advance science, advocate for chemistry, enable career development, educate the public, support future chemists and promote diversity. Students involved with ACS have an opportunity to attend American Chemical Society national or regional meetings where industry leaders give presentations about emerging topics in chemistry. 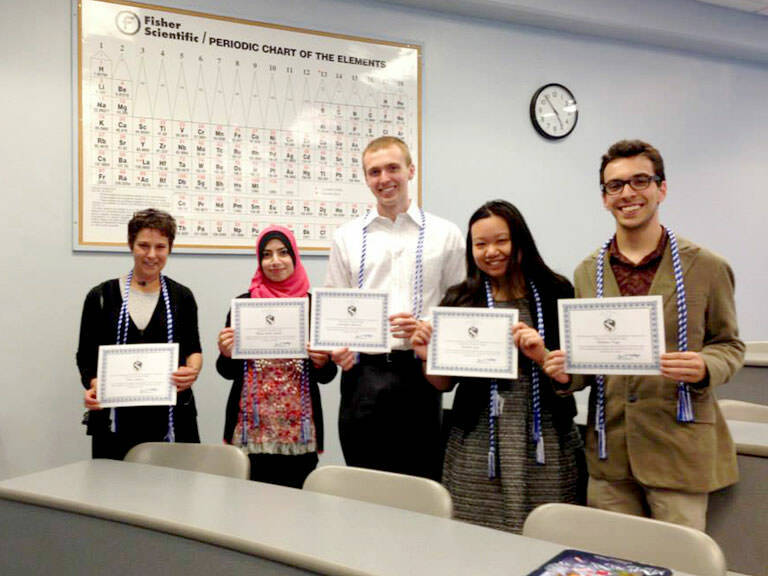 Manhattan College’s ACS chapter also hosts a mentor program and invites speakers to campus. All students are welcome to join the American Chemical Society but students who have a major related to chemistry or biochemistry will benefit the most from membership. Sign up at the biannual activities and volunteer fair which happens at the start of each fall and spring semester, or email acs@manhattan.edu directly.